Tchaikovsky's Fourth Symphony was premiered in 1878, and it would be another ten years before he felt he was ready to tackle a new symphony, which would be the Fifth, in e minor op. 64. Th is did not mean that he was idle; many new compositions appeared during these years: Four Suites for Orchestra, Capriccio Italien, Serenade for Strings, and grandly conceived program symphony Manfred. To this must be added operas, vocal music, and chamber music, as well as the many conducting assignments he was beginning to take on during this period, often involving long and fatiguing journeys. Early in 1888 - the year of the Fifth Symphony - he was engaged for a four-month concert tour of Europe. Th is was good for him in that he had an opportunity to present his music to new audiences and because he established many new contacts; he met Brahms and Grieg, among others, on this tour. Another person who made a distinct impression on him was Th eodore Avé-Lallement, president of the Hamburg Philharmonic Society. He "encouraged" him by telling him just how much he disliked Tchaikovsky's music, with its bombastic orchestration. Th is individual and situation must have had quite an impact on him, because the coming Symphony in e minor came to be dedicated to none other than Th éodore Avé-Lallement in Hamburg! Once back in Moscow, he started work on his new symphony. It took just a few months to compose and was premiered in November 1888, with Tchaikovsky himself on the podium. Th e world premier was a popular success - whereas the reviews from his colleagues and the press were not so sympathetic. Tchaikovsky himself, who had been buoyant about the symphony when he was writing it, now began to doubt its value, and this feeling was not alleviated by two performances in St. Petersburg and Prague. "Th ere is something repugnant, bogus, and artifi cial about it," he later wrote in a letter to his brother. But after the second European tour that he was asked to undertake in 1889, he had occasion to change his mind again, regarding his music more positively. Since then, the Fifth Symphony has reinforced its position as one of Tchaikovsky's most treasured works. Uppsala Chamber Orchestra - regarded by many as one of the fi nest chamber orchestras in Sweden - is part of Musik i Uppland, the county musical foundation. Th e orchestra has previously released critically acclaimed recordings on Naxos, one of which - Drottningholm Music by Johan Helmich Roman - was awarded a gold record in 2002. Uppsala Chamber Orchestra is characterized by its fl exibility in various styles, from early baroque to contemporary music, and its exquisite orchestral sound, both warm and lustrous. Th e orchestra includes a number of fi ne soloists who ensure its high quality. Uppsala Chamber Orchestra's fi rst principal conductor from 1993 was Gérard Korsten, now artistic director of the London Mozart Players. Th e English pianist and conductor Howard Shelley was its principal conductor from 2000 to 2003. As of 2004, its principal conductor is Paul Mägi, a very highly regarded conductor with multiple international assignments. Th e concertmasters are Nils-Erik Sparf and Klara Hellgren, who are both members of the string sextet Uppsala Chamber Soloists. 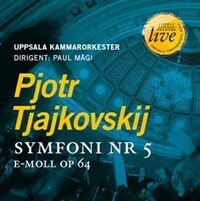 The Estonian conductor Paul Mägi has been frequently featured on Swedish podiums in recent years. He has had a long and successful career as conductor and artistic director of several prominent orchestras in the Baltic countries. In 1990 Paul Mägi was appointed artistic director and principal conductor of the Latvian National Orchestra in Riga. 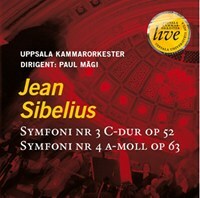 Between 1995 and 2002 he was artistic director and principal conductor of the Estonian National Opera in Tallinn. Paul Mägi has conducted leading orchestras in a score of countries in Europe and the US. 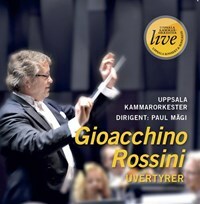 Some of the Swedish orchestras he has conducted are the Swedish Radio Symphony Orchestra, the Royal Stockholm Philharmonic Orchestra, the Royal Court Orchestra, and the Gothenburg Symphony Orchestra. 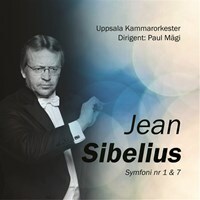 He is regarded as one of the foremost teachers of future conductors and is the professor at the College of Music in Tallinn, and is also professor at the Royal College of Music in Stockholm. 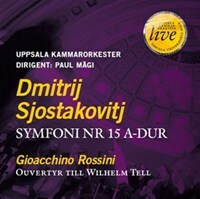 Om du tycker om Symphony No. 5, berätta det gärna för dina vänner! Du kan snabbt och enkelt dela denna sida direkt på Facebook, Twitter och via e-post här nedanför.